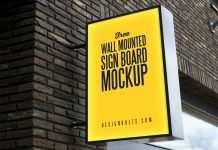 A clean yet elegant wall mounted shop sign board mockup available in rectangle shape. 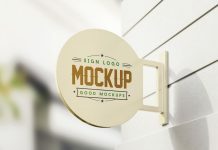 Place your logo design, logotype, typography or shop name inside smart object, make sure the color of the typography is bright and the sign board color to be dark. 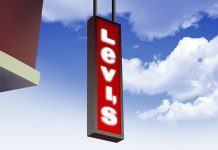 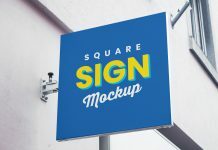 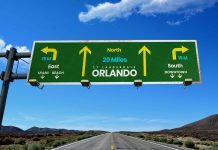 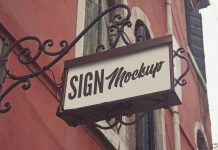 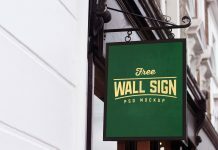 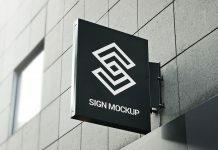 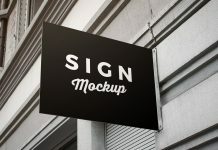 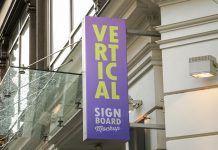 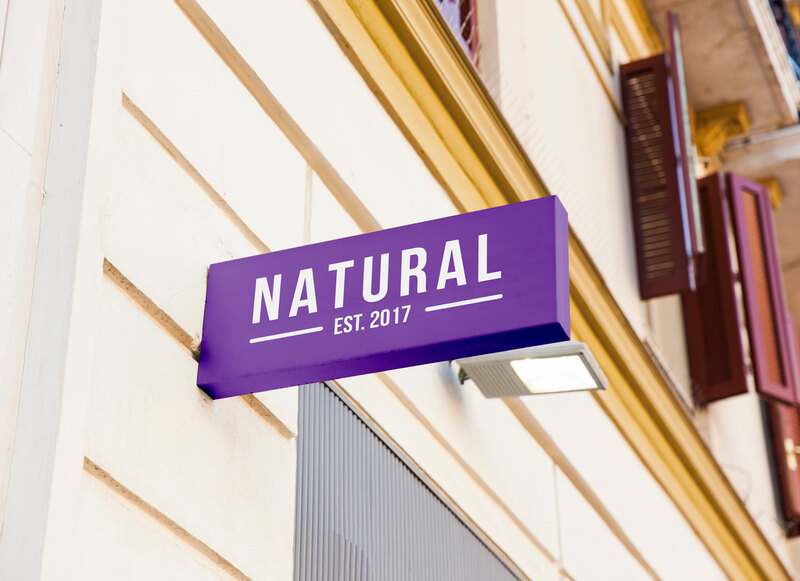 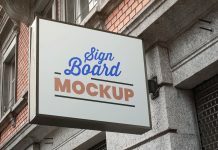 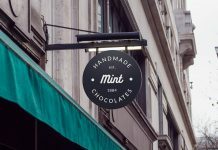 We have a great range of sign board mockups in our outdoor category, do check them out and if you like our collection subscribe and receive free mockup emails regularly.